Pocketed Precision Baskets - EnviroSense, Inc.
Pocketed Precision Baskets have handles and are stackable. Baskets with hinged lids have safety latches. 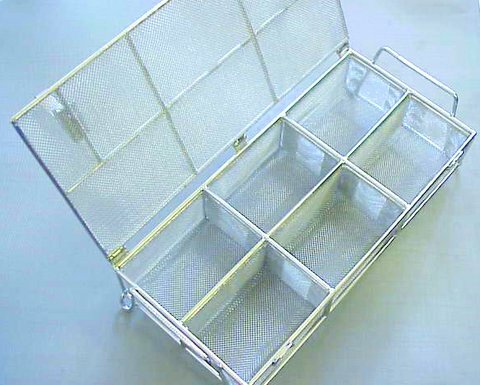 These baskets are available in a variety of mesh sizes and can be Nylabond coated or electro-polished. The pockets can be set to any desired sizings.